One of my favorite courthouses. 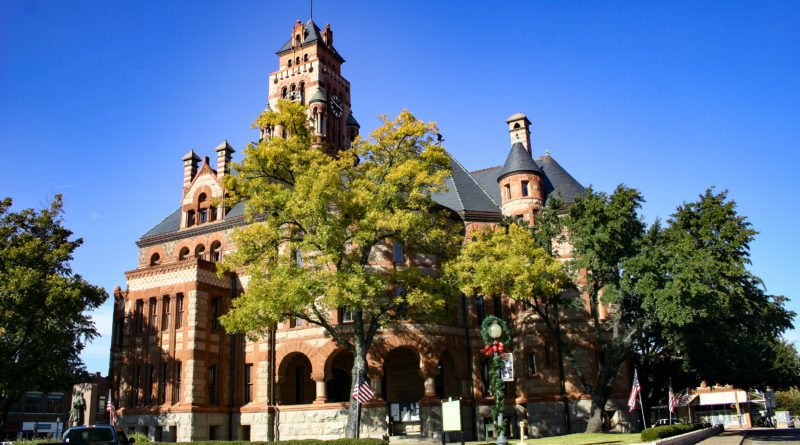 Texas has around 225 historic courthouses. 86 of those are listed on the National Register and of those 78 are Texas Historical Landmarks. I would venture to guess this one in Waxahachie has always been at the top of those lists. 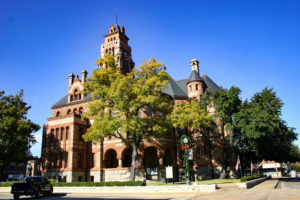 Built in the Richardsonian Romanesque architectural style, it is one of the top 100 most photographed buildings in Texas. In 1897, not only did this newly built “Temple of Justice” outshine any courthouse around. It was state of the art. All the modern day conveniences heating, lighting, and indoor plumbing. Seeing the enormity of this, the phrase “Everything is Bigger in Texas” comes to mind. But here is a tidbit for you, as magnificent as it is, this Grand building is only 8th on the list of outstanding architectural achievements in Texas. Makes ya wanna look for the other 7, doesn’t it?